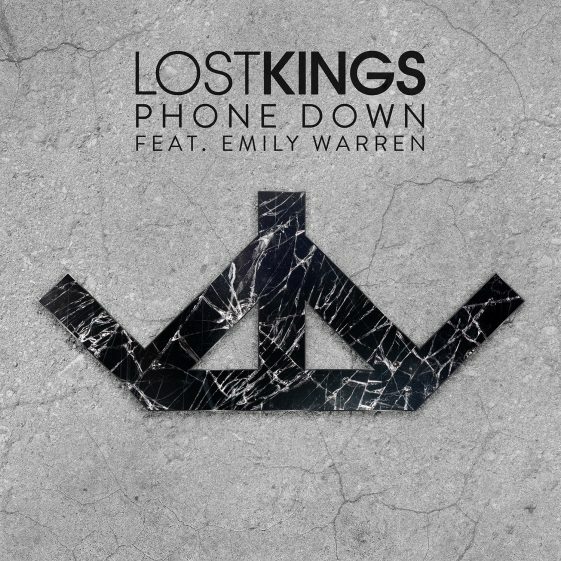 LOST KINGS SIGN WITH DISRUPTOR RECORDS / RCA RECORDS AND RELEASE NEW SONG “PHONE DOWN” FT. EMILY WARREN TODAY! (New York, New York – October 7th, 2016) – New dynamic DJ duo Lost Kings announce their signing to Disruptor Records / RCA Records today. In celebration of the signing, the duo releases their brand new song, “Phone Down” ft. Emily Warren. Click here to Listen. The track was written by Scott Harris, Philip Anthony Leigh, Matthew Thomas Paul Holmes, Norris Shanholtz, Robert Abisi, Emily Warren and produced by the duo. The pair will play sets in New York, Washington, DC, Montreal and Pittsburgh over the next few weeks. For information on tickets please visit here. Lost Kings consists of Los Angeles based Robert Gainley and Dr. No. In a little over a year, they have risen up through the ranks of new producer talents gaining over 30 million plays on Soundcloud, over 25 million streams on Spotify and have had 13 #1s on Hypemachine. Their debut single, “Bad” entered the Spotify global viral chart at #15 while their single “You” has over 2 million video views and over 8 million streams on Spotify. They have created official remixes for the likes of Rihanna, Imagine Dragons, Echosmith, Krewella, Vancy Joy, Life of Dillon, Halsey, Tori Kelly and more. They have toured all over the country playing various clubs, colleges and festivals including Billboard’s Hot 100 Music Festival, Electric Dasiy Carnival New York, Hangout Music Festival and more. Emily Warren has co-written key tracks for Shawn Mendes, Fifth Harmony, 5 Seconds of Summer, Jessie J and most notably The Chainsmokers hit single, “Don’t Let Me Down” ft. Daya.